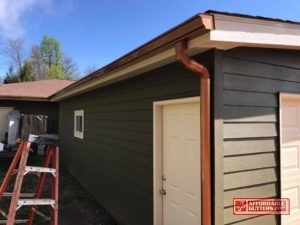 Affordable Gutters Plus, LLC is the group to call for your excellent rain gutter installation needs in Flowery Branch, GA. We offer your complete gutter and roofing services, giving you high quality rain gutter installation for your home. Each rain gutter installation is completed with our aim in mind, to offer peace of mind with a system that will last as long as you own your home. Our contractors are experienced experts who are licensed to provide you with the best workmanship and customer service in town. One call is all it takes to obtain all of your rain gutter installation answers. Call 770-735-4433 for top-notch services and rain gutter installation in Flowery Branch, GA from Affordable Gutters Plus, LLC. 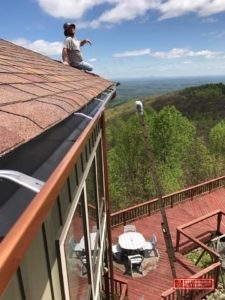 Affordable Gutters Plus, LLC gives all of your needed residential services in Flowery Branch, GA. You receive more than only rain gutter installation from our contractors who install and repair everything including roof and flashing services. Leaf Guard Gutters: Using leaf guard gutters in your home can avert clogged gutters. Metal Roofing: Safeguard your house with durable, energy efficient metal roofing. Roof Drainage Repair: Roofing drainage repair can keep your system functions correctly. Seamless Rain Gutters: Water damage and leaks are a thing of the past when you select a high quality seamless rain gutter installation from Affordable Gutters Plus, LLC. Squirrel Deterrent Flashing: Keep your house safe against rodents when you select to install squirrel deterrent flashing. Your home gets these services and more. Your home framework stays intact because your roofing system acts as a safeguard to prevent excessive damage from storms, hail, and even winds. You can safeguard your roofing with skilled installation on your gutter system. Contact us at 770-735-4433 today to begin on your rain gutter installation in Flowery Branch, GA.
With the huge investment it is to own a home, you think that your family will be capable of live in for a lifetime. 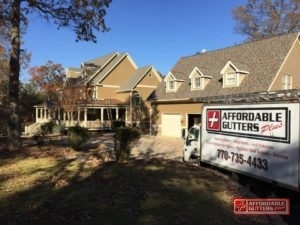 Affordable Gutters Plus, LLC believes that you should receive services that guarantee this, which is why we aim to give you gutters that are designed to last as long as you occupy the house. Our contractor team gives you what your house requires, giving you top-notch installation and high caliber materials. Customer service and expert workmanship are our central values and we use these to supply you with first-rate roofing and rain gutter installation experience. For all of your rain gutter installation requirements in Flowery Branch, GA, contact Affordable Gutters Plus, LLC today at 770-735-4433.